Set up showing the initial French dispositions. 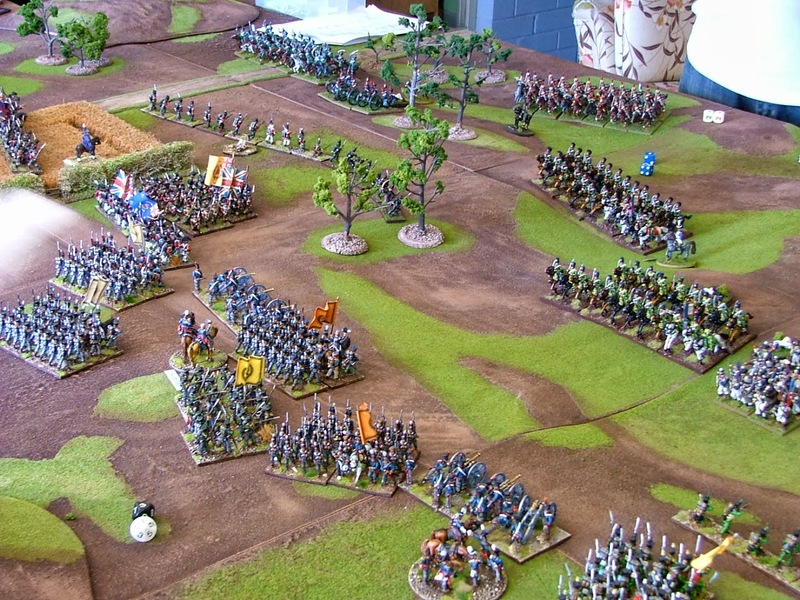 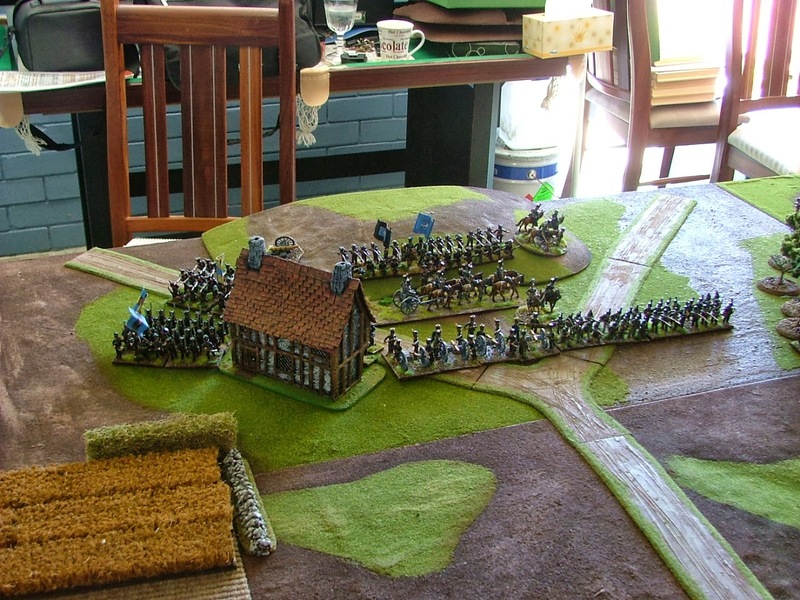 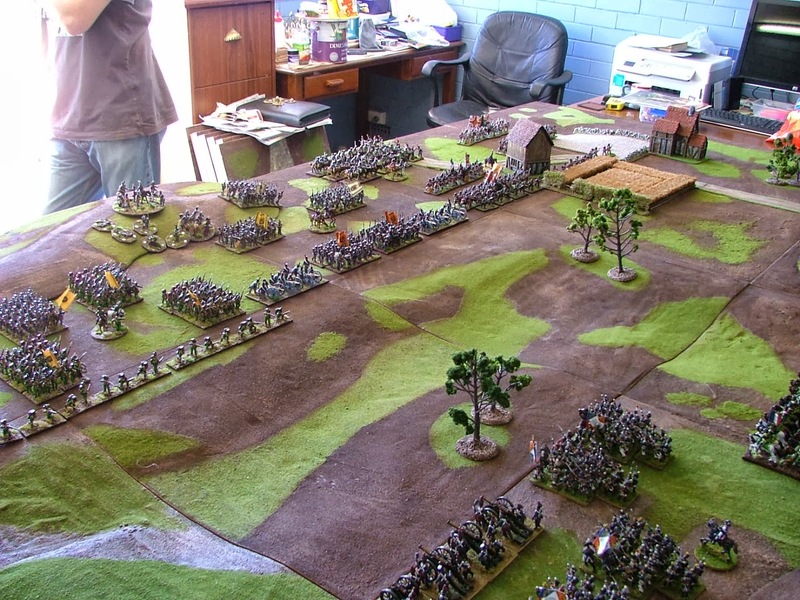 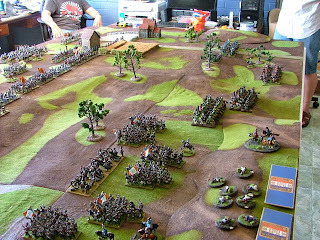 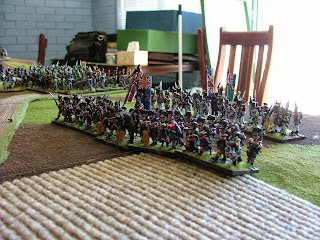 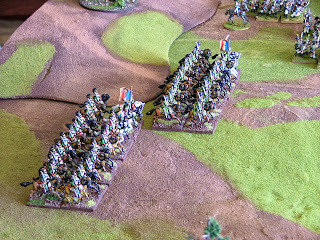 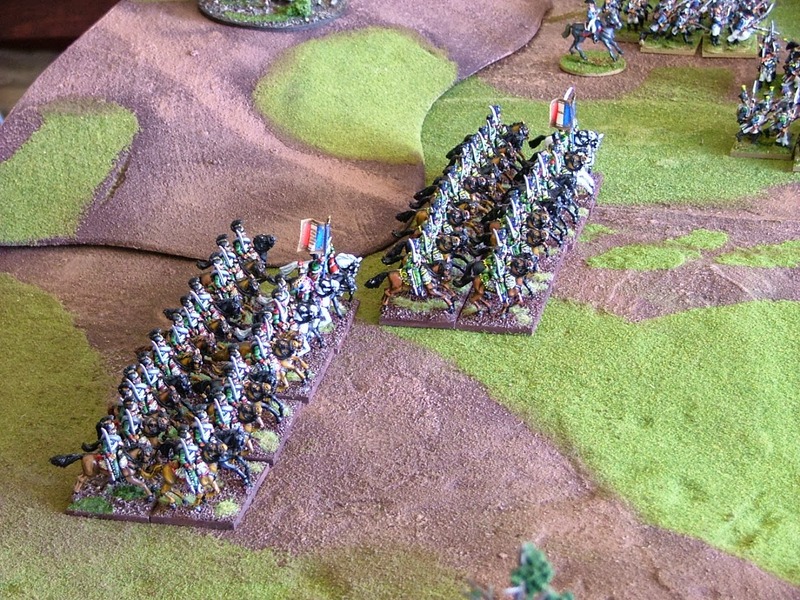 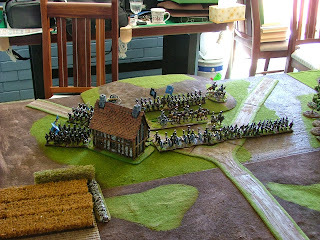 A while back we played a fantastic 1815 encounter battle between a strong French Corps based on Reilles formation in the Waterloo campaign up against The Prince of Orange and a combined British, Dutch, Brunswicker army. It was a fantastic game of General de Brigade and if memory serves the French managed to punch through on the left and break the allied lines and capture the road to Bran L'Alleude before the reserve British formations could reach the field. 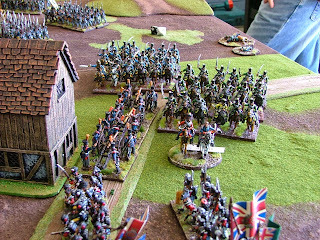 Scots running about terrorising the locals and the French alike! 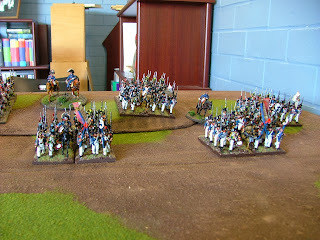 French centre...that was their firsttactical mistake! 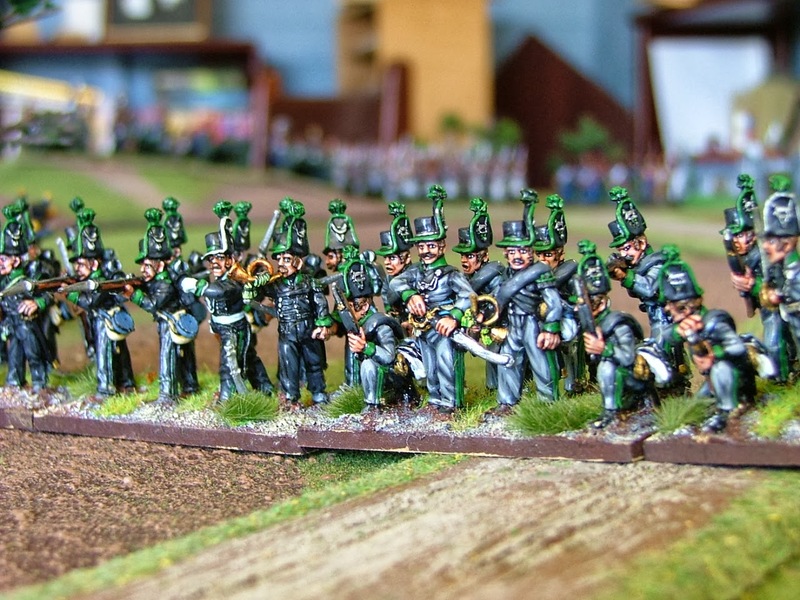 ﻿﻿﻿ Nearly all the figures are from the wonderful Perry Miniatures range of Napoleonics for 1815 with the exception of the Scots and some other British units which are Perry designed Foundry figures. The game was an enormously enjoyable one with just a few beers and ciders being enjoyed by the local commanders and the hospitality of Mr Yardley was greatly appreciated. 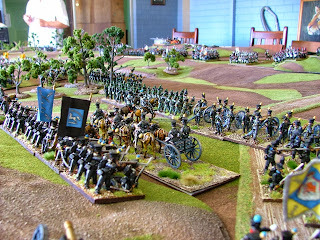 Wonderful looking figures and table! 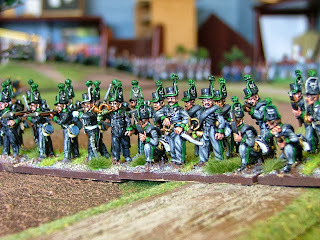 Lovely troops and great pictures, Carlo!